The wildlife photography of Jim Allen is stunning! Jim Allen is an award winning photographer in Summerville who spends hours behind the lens capturing moments in time. We have framed several of his birds in striking poses for customers, ourselves and for charity auctions. We are offering his photos in various sizes at a discount along with custom framing options. 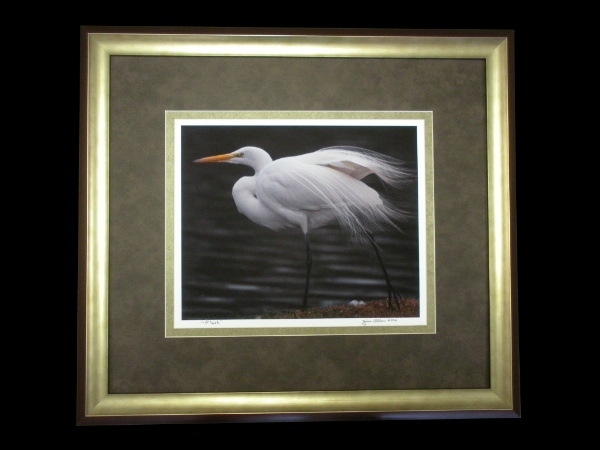 When framing photos it is important to make sure the framing and matting compliment the subject. The use of conservation glass will preserve your photos for many years to come.